MBALE- Residents of Mbale Municipality have one thing in common, they hold their mouths and noses when walking through the street alleys. Moreso, they always whisper when discussing the hygiene and sanitation of their town that now litters with heaps of garbage, human excreta in polythene bags dumped in street alleys, old dilapidated buildings and poor sewerage system. This has been the trend for the past about 15 years; when the municipality leaders succumbed to poor planning due to lack in capacity to effectively handle the municipality’s physical planning and development let alone the hygiene and sanitation of the town. The deputy town clerk, Mr Kenneth Waniaye acknowledged that there was a problem of garbage in town and littering of human excreta in street alleys, but was quick to add that it was basically a problem of people’s attitude in town. “Yes, although we have garbage skits everywhere in town to arrest the situation, our people even after sensitization dump all the rubbish outside the skits, defecate in polythene bags and dump the human excreta in the street alleys. I actually find this an issue of the attitude of our people,” said Mr. Waniaye. He revealed that because of laxity on the physical planning department, the people constructing houses along North road and Kumi road have connected the rainwater drainage system with the toilets thereby making human excreta flow with the water whenever it rains. Mr Waniaye added that the toilet systems in many buildings in town have broken down because the buildings are very old, dilapidated and almost a death trap to the occupants. “And this has made many of the occupants to use flying toilets [polythene bags] for convenience but unfortunately even when there are garbage skits, they throw them in the street alleys posing a great danger of outbreak of diseases like cholera and dysentery,” said Mr. Waniaye. Mr. Waniaye criticised irresponsible residents, who use polythene bags as toilets for making Mbale town a centre for the outbreak of cholera, dysentery and other related diseases. He revealed that the municipal authorities research has unveiled that a number of buildings lack toilet facilities which forces the residents to resort to using polythene bags referred to here as ‘flying toilets’ and that soon they are going to take legal action against them. Waniaye said most street alleys in Mbale are now filled up with polythenes [Buvera] carrying human excreta thereby creating an unnecessarily health hazard to both the visitors to the town and the residents. 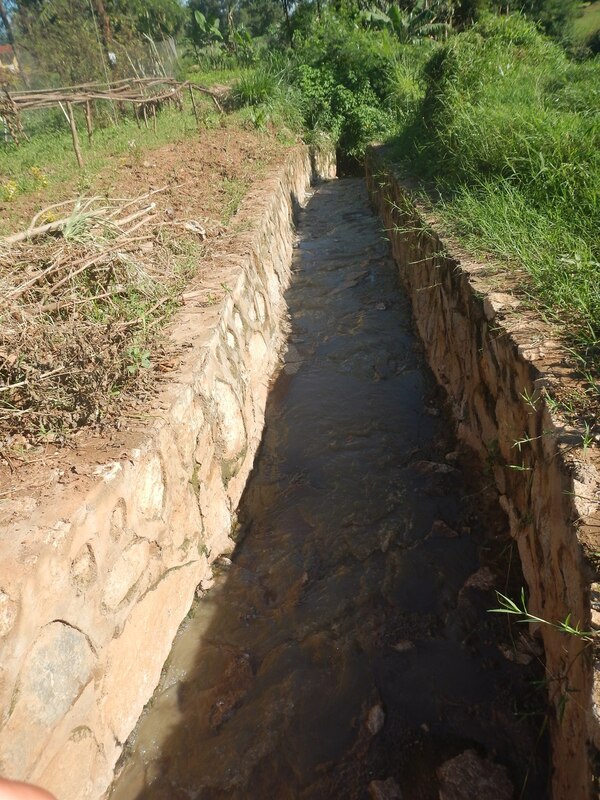 Mr. Waniaye’s revelation comes barely two years since the National Environmental Management Authority [NEMA] said Mbale municipality and in particular industrial division has 600kg of human excreta discharged daily indiscriminately in the open. 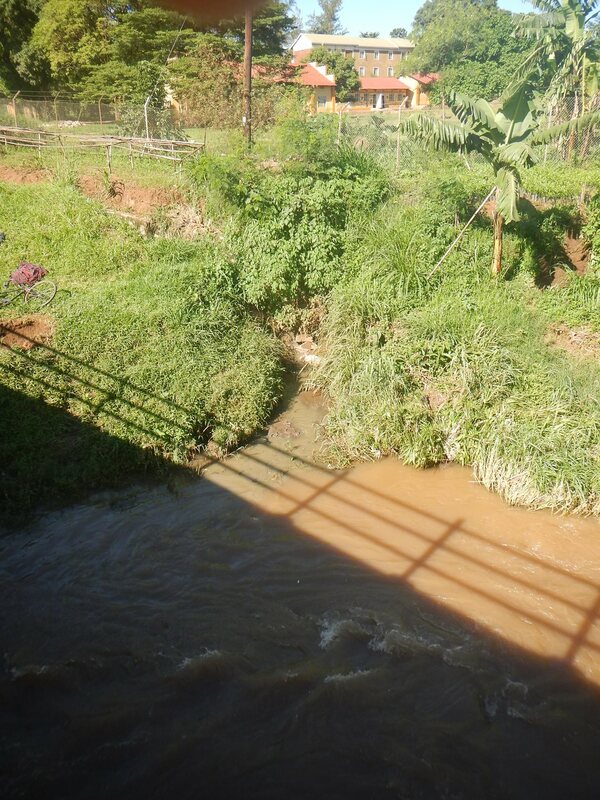 According to the NEMA health inspection report on the Mbale Municipality industrial division, the human waste is discharged into yams, sugarcane gardens and other bushes because of lack of sanitary facilities. “An inspection of the Mbale regional Abattoir, food processing stores, eating places, wood works, small and medium industries reveals that the entire industrial area lacks sanitary facilities and this is a clear indication why 600kg of human excreta is being discharged daily into yams and sugarcane gardens and other bushes around industrial area,” reads the report in part signed by Ms Mary K. Mukimba, the Mbale district environment officer then. The report says further that the food processing mills are using crude and untidy processing methods where they use their feet to mix maize together with water before it is milled thereby putting the lives of the consumers at risk. Although plans are underway to demolish illegal structures constructed without approved plans in preparation for a city status, the poor hygiene and sanitation of the town comes after the ministry of Local Government report revealed that buildings in Mbale have been erected haphazardly in total disregard of the urban authorities’ laws and regulations as though there was no physical planning department with a physical planner and engineers. The report reveals that several buildings have been erected in street alleys, roads reserves, wetlands, gazetted open places, in nursery beds, on sewerage lanes thereby blocking the sewerage system reflecting lack of policy relating to physical planning of the town.